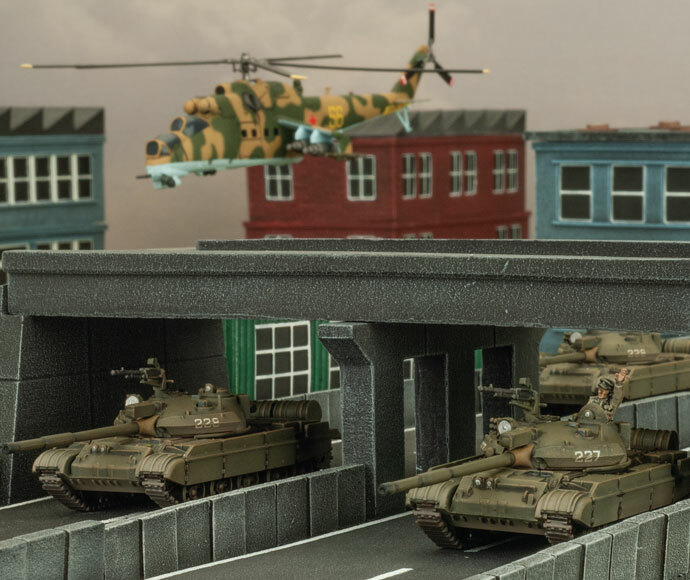 We’ve noticed many of you excitedly building the new Fate Of A Nation T-62 tanks as the Soviet T-62M (not that we can blame you, they look great). 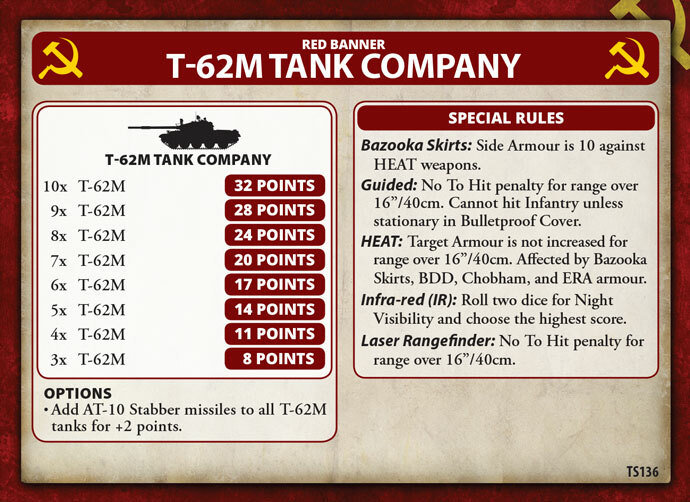 The full rules for fielding the Soviet T-62M is coming in our next Team Yankee book Oil Wars, but for those of you keen to get a head start we thought we would share the Formation and Unit Card information with you. 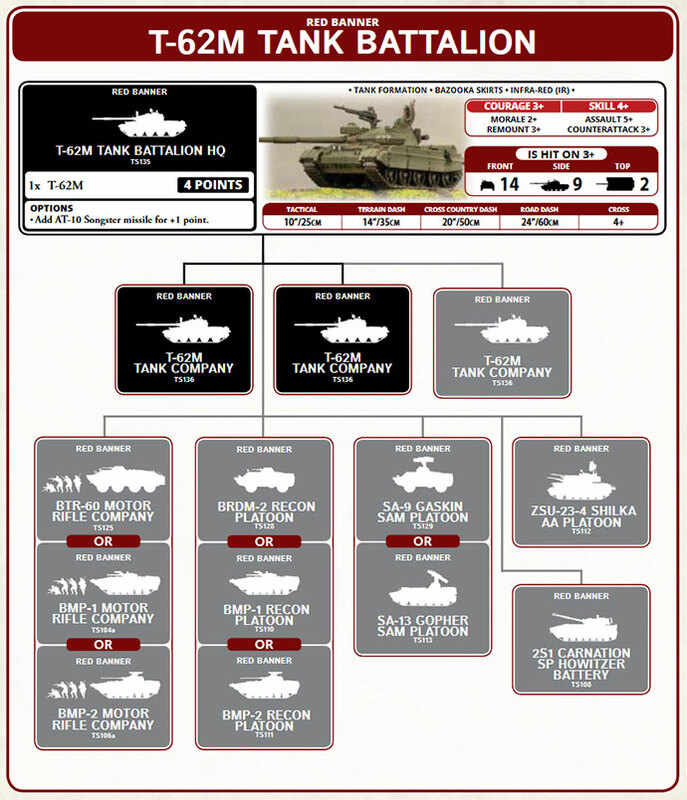 A T-62M Tank Battalion can be taken in any Soviet Force from Red Thunder instead of any other Soviet Tank Battalion Formation available in a Soviet Force. 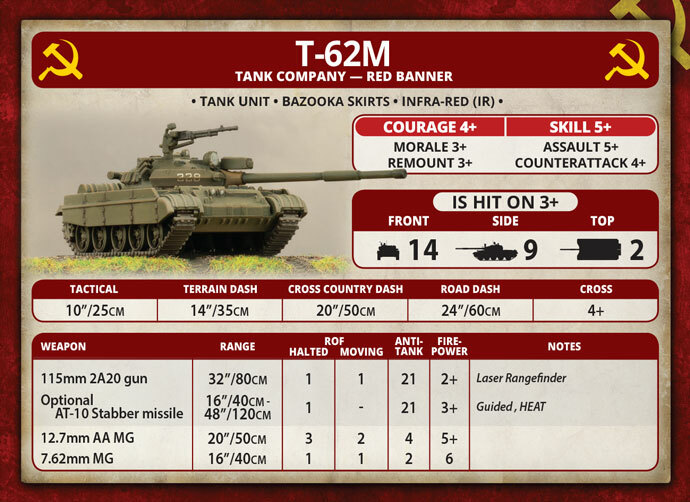 Solider Gadzhi Babayev had been sitting in his gunners seat for the last three hours as the T-62M tank of Lieutenant Korotkin rolled along the Iranian mountain road. His arse was sore, and he had an overwhelming desire to get out and stretch his legs. However, they were meant to be reaching the frontlines soon, where his battalion would launch an attack against US and Iraq forces. A few minutes later the Lieutenant ordered the driver to halt. Babayev looked through the sight of the gun, scanning the area in front of where they had stopped. Ahead a number of the battalion’s tanks had taken positions behind an earthwork berm the Iranians had built. 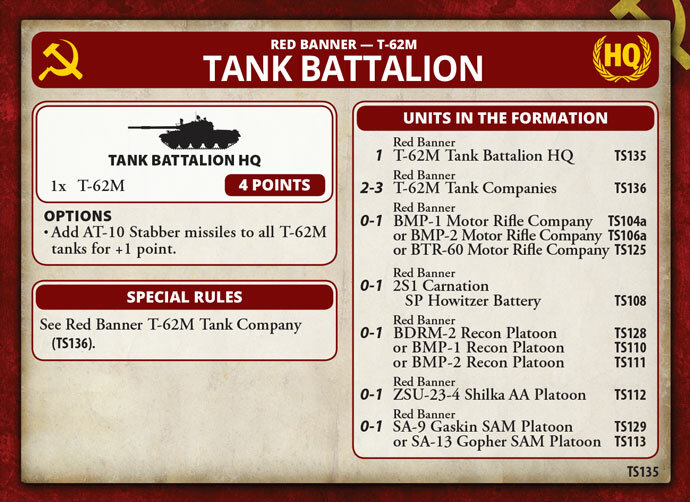 The Lieutenant ordered the driver forward again, and their tank neatly slotted into a position along the berm with the rest of the 2nd Company. “Tank, third building on left, engage!” he ordered. “Anti-tank,” Babayev yelled at his loaded and was rewarded with a 115mm round immediately slammed into the breach. He lined up the area where he had seen the flash with his laser rangefinder, 1200 metres. He made adjustments and fired his round. A flash and cloud of dust greeted his round. As he watched half the building collapsed to the ground and a tank backed out from behind it. “Anti-tank,” he asked his loader and another round was loaded. “This time we get him Gadzhi,” yelled the Lieutenant. Babayev had already fired the second round. 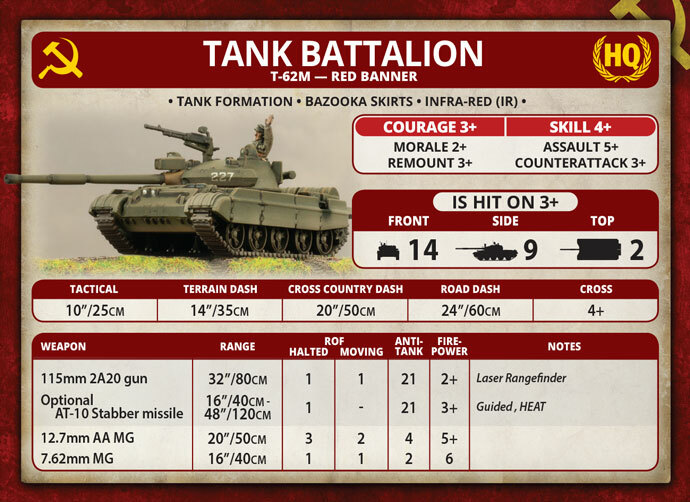 These Formation and Unit Cards will be released as part of our next Team Yankee book, Oil War. This book is scheduled for release in 2019 and as such they are subject to change as playtesting is still ongoing.